Topic: Origin of each country's QWERTY keyboard layout? Re: Origin of each country's QWERTY keyboard layout? Topic: Post a picture of your ideal keyboard layout! Re: Post a picture of your ideal keyboard layout! There are some alternatives to Alice with a similar (or identical) layout. One GB closed the day before yesterday after having been open for only a couple of days (what the hell!). One has been in a IC stage for several months. Personally, I think the right Space and Alt are too much too the left. bhtooefr wrote: ↑ At least two [rollbacks] were due to Ripster abusing his moderator privileges and deleting users. Rollback = restoring Geekhack's data base from a backup. I have also seen rumours about him having edited other user's posts to make it as if they had insulted him. But you can't argue that it isn't easy to remember. The domain name came from the two groups I perceived as caring the most about quality keyboards, techies (geeks) and writers (hacks). Geekhack was founded by iMav. Is Ripster still posting that he is butthurt for being banned at Geekhack and here? So effing what. Noone cares. It was a loooong time ago. He deserved it. He should get over it. Topic: Do B3G-S switches fit into standard Cherry plates? Re: Do B3G-S switches fit into standard Cherry plates? 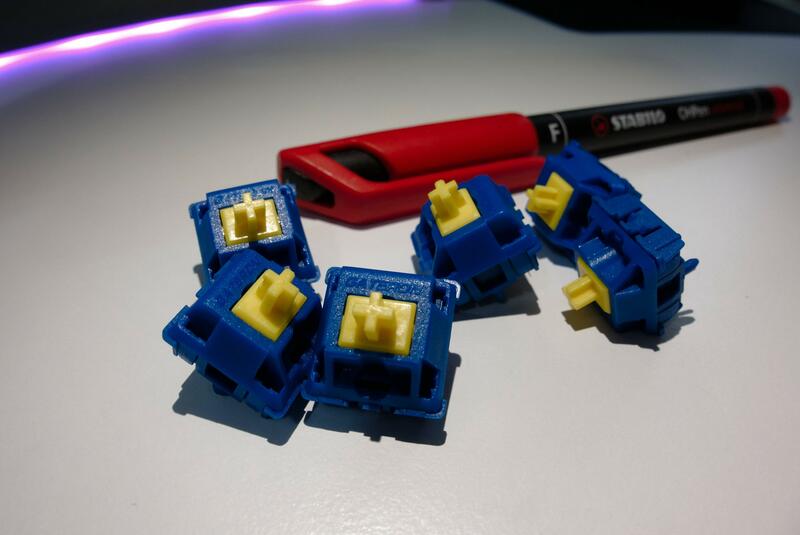 Topic: Topre Realforce R2 6-key rollover issue? Re: Topre Realforce R2 6-key rollover issue? @Spearra: Would it be possible to configure the game to use the modifier keys to game with? Shift, Control, Alt/Option and Windows/Command are not subjected to the 6KRO limit. Topic: Let's make the worst layout ever! Re: Let's make the worst layout ever! Yes, but what about the switch? I stumbled upon a bug! When uploading a SVG file, thumbnail generation fails. Instead of thumbnail, I get the error message "Error creating thumbnail: /bin/bash: /usr/bin/rsvg-convert: No such file or directory". Are you shorting the GND and RST pins together just before flashing to put it into bootloader mode? Unless it is the very first time, you'd need to short the pins twice in quick succession. Then avrdude must be run immediately afterwards. I think it goes out of bootloader mode if you wait to long. The best bottom row IMHO. The modifiers you use the most are big and in the right positions. It's got so much hate because Filco doesn't use it. "Oh, It's non-standard. Bwa bwa bwa". At least, Signature Plastics still lists being able to mould 2.5u keys like the Ctrl keys on Wyse PCE. I have a different variant, but the keycaps are gorgeous! I'm feeling the vibes of another NEC PC-8801 keyboard there. the Chanel is obviously patterned after an Apple Aluminium Keyboard. Kate Spade has the rows wrong horizontally, and the Apple Aluminium ... is an Apple Aluminium keyboard.